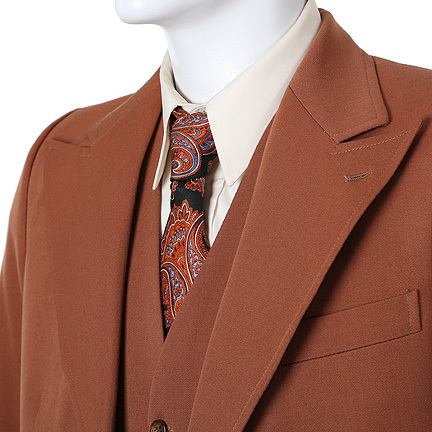 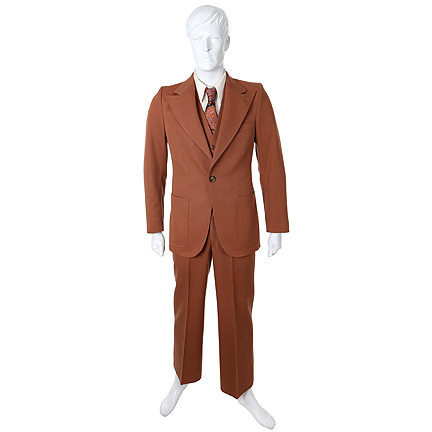 The suit is initially seen in “Lionel cries Uncle” (Season 1 Episode 7), when Uncle Ward comes to visit but is dismissed for being an “Uncle Tom”. 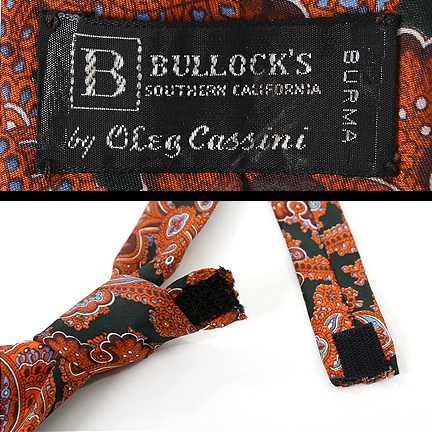 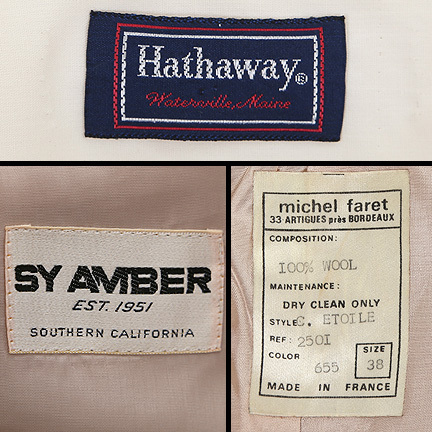 Mr. Hemsley can be seen wearing this tie along with his three-piece suit in “The Lie Detector” (Season 3 Episode 4), while preparing for a family photo shoot with Louise, but the session is put on hold when Lionel delivers news that he’s quit his new job. 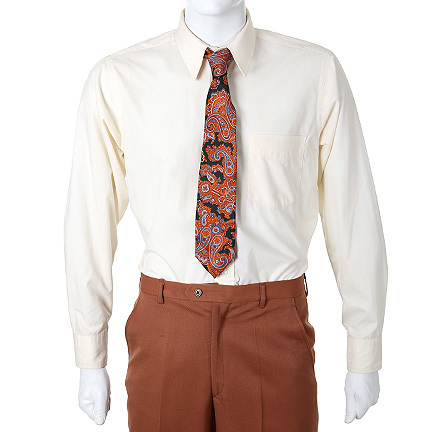 The tie is paired again with the same suit in “The Retirement Party” (Season 3 Episode 6), when George is offered a fortune to sell his business but refuses after realizing it would affect all his old friends. 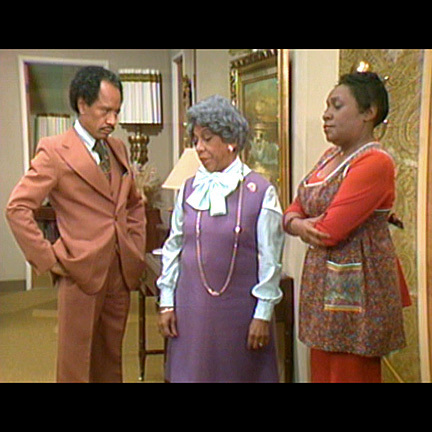 It is also seen later with a different suit in Season 4 Episode 17, “Lionel Gets the Business”, when George puts his son in charge of his cleaning business, but soon realizes his changes are going to hurt the company. 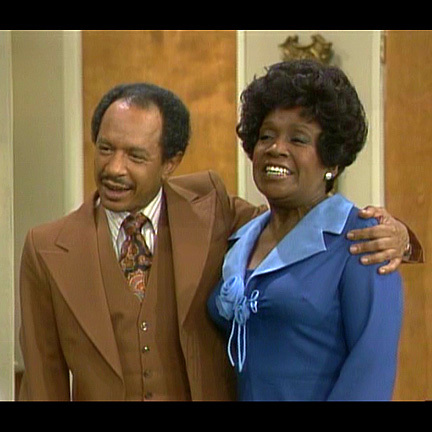 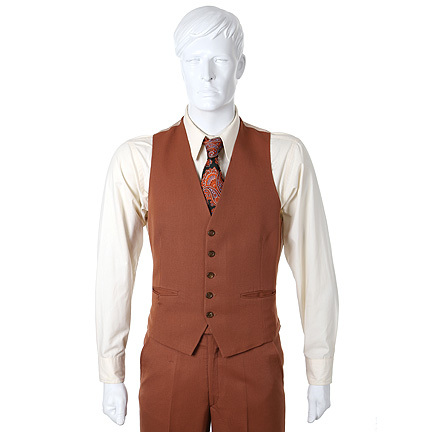 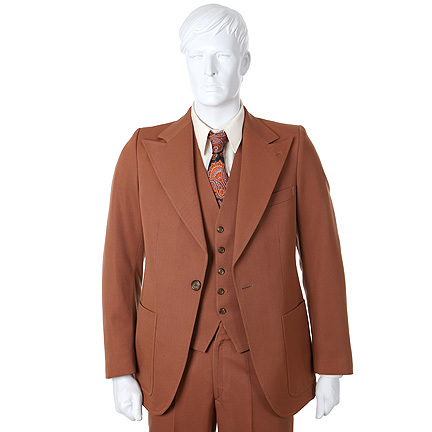 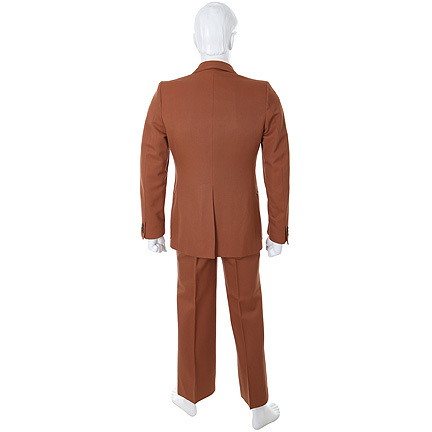 This outfit was one of George Jefferson’s signature costumes and was worn throughout the series, including episodes 7, 12, 24, 33, 41, 43 and 50. 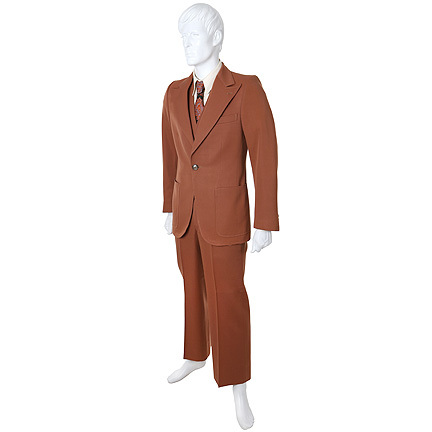 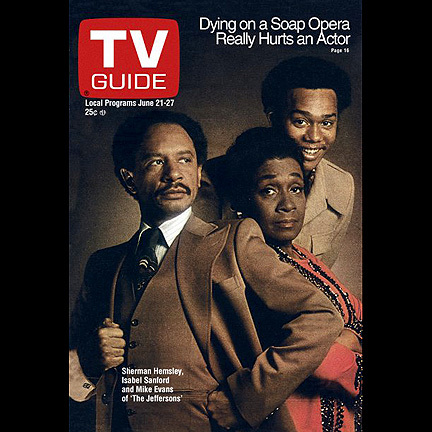 Sherman Hemsley was also featured on the cover of “TV Guide” (June 21-27, 1975) wearing this suit.